Welcome to MiniJerseyFarm.com, website of Mini Miracles Farm in Pattonville, Texas and home to some of America’s best Old World and Heritage Jerseys. 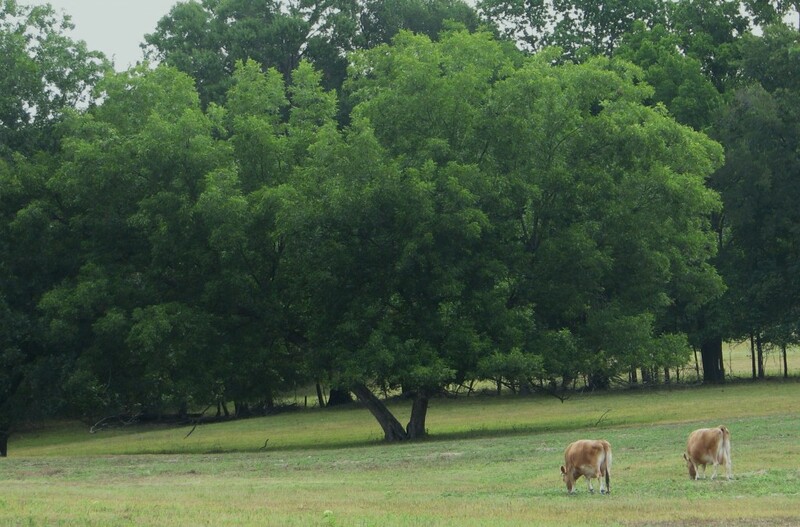 We at Mini Miracles Farm believe in the traditions of the American small farmer and homesteader. We believe that one of the greatest blessings we possess is the freedom to live as close to nature as possible, to eat those things that we grow and produce by the sweat of our brow, and by the grace of God. We are excited about the return to the family farm that is taking place in America. However, not everything on the farm is as it once was. Over the years in the interest of progress, scientists have changed the genetics of our food, and dairy farmers have bred animals ever larger in the interest of more milk production. 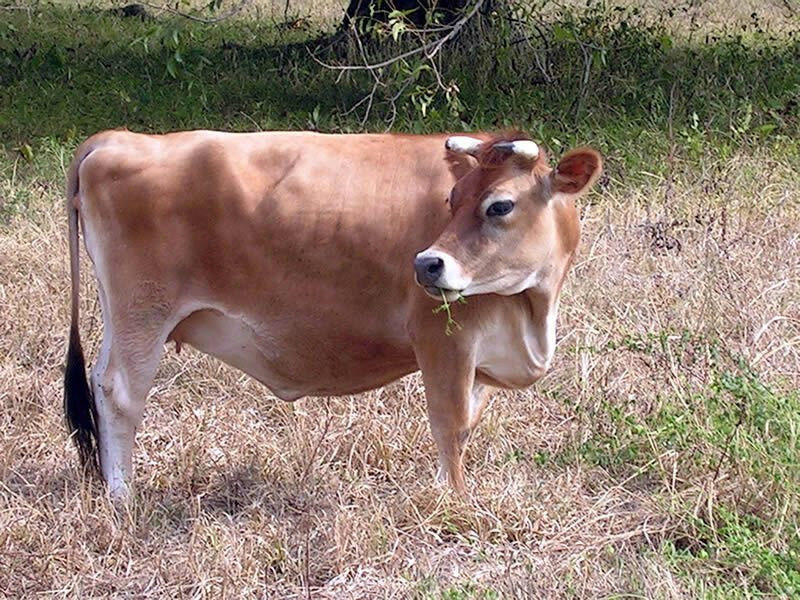 In the case of the Jersey cow, what was once a smaller animal producing 2-4 gallons of milk per day and eating very little, has become twice her original size producing more than 10 gallons of milk per day and consuming 2-3 times the feed and resources of the original Jersey. So as we return to the small family farm, we need to find that small milk cow again. The cow that will produce the amount of milk we need and consume as little of our resources as possible while doing so. That small Jersey of old is now called the Miniature Jersey. The Miniature Jersey is not a bred-down version of the standard Jersey of today; they are the result of selective breeding of descendants of the original Jerseys imported from the Isle of Jersey with other polled, small breeds. The Miniature Jersey of today combines the beauty and milk quality of the original Jerseys, with the smaller size and appetite that the family farm needs. All of our breeding stock are registered and DNA tested which ensures that you know the heritage of your animal, while maintaining the integrity of the breed. We appreciate your interest in the Miniature Jersey. Unfortunately not everyone selling mini Jerseys will tell you the things that you really need to know before you purchase one. Don’t be afraid to ask questions, see the dam and sire of the animal you are considering, and request disease testing that has been done on them. Also, spend some time on our “How to Select Miniature Jersey Cows” page. If you still have questions, or don’t even know the questions to ask, give us a call or email us. We are more than happy to help point you in the right direction. We have been in this business for quite a few years now, and although we may not know the answers to all the questions you may ask, we will strive to find someone who can help you.